Just when you upgraded to HDTV you thought you were all set. You get your high end TV with 1080p resolution and 120Hz refresh and think it will be top of the line for a long time. Several manufacturers have higher resultion digital displays in the works. 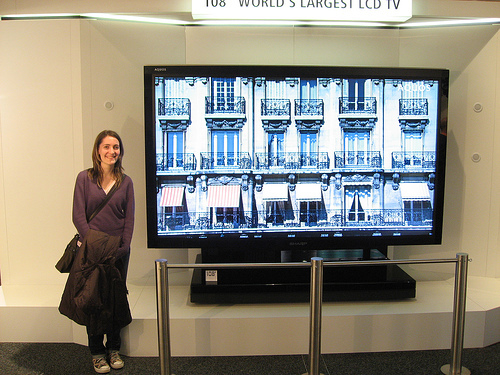 Standards are already in the works for 2160p and 4320p resolution television sets. While those standards will most likely be a few decades off from being broadcast over the air without and major leaps in digital compression, other services that provide television and movies over IP links such as Netflix might be able to thrive by offering content for this.